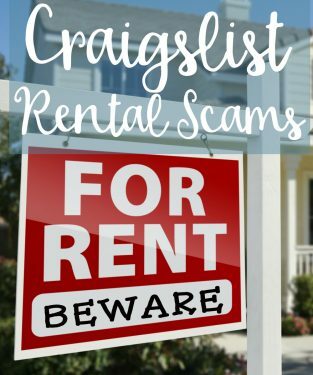 Craigslist rental scams are alive and well and citizens need to beware of these ruthless criminals attempting to swindle hundreds if not thousands of dollars. Recently, an alert citizen contacted us after she saw did additional research on a home she found for rent on Craigslist. The home, which is in Winter Haven, just seemed too good to be true. This astute citizen responded to the ad and soon received a return email. Of course, the subject identified himself as the owner of the property and there was a listed phone number. Ultimately, the astute citizen was able to locate the true owner of the home alerting them to the scam. Craigslist has great qualities, but citizens are warned to triple check before sending ANY money and certainly make all transactions in a public place, like a law enforcement facility.